A fermionic condensate, or fermi condensate, is a state of matter (superfluid phase) which is very similar to the Bose–Einstein condensate. Superfluids are also Bose-Einstein condensates. The only difference is that Bose-Einstein condensates are made up of bosons, and are social with each other (in groups, or clumps). Fermi condensates are anti-social (they don't attract each other at all). This has to be done artificially. This state of matter was made in December 2003 by Deborah Jin and her group. Jin worked for the National Institute of Standards and Technology at the University of Colorado. Her team created this state of matter by cooling a cloud of potassium-40 atoms to less than a millionth°C over absolute zero (-273.15 °C, this is the hypothetical lowest limit of physical temperatures). This is the same temperature required to cool matter to a Bose–Einstein condensate. The process of cooling a gas into a condensate is called condensation. Albert Einstein, one of two men who hypothesised about Bose–Einstein condensates in the 1920s. 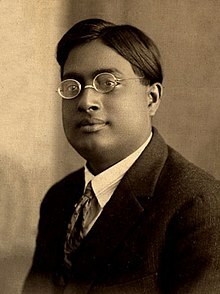 Satyendra Nath Bose, the man who worked with Einstein to come up with the idea of Bose–Einstein condensates. He is also famous for his Bose–Einstein statistics. This is the standard model of elementary particles, usually referred to as just the Standard Model. Bosons and fermions are subatomic particles (bits of matter smaller than an atom). The difference between a boson and a fermion is the number of the atom's electrons, neutrons and/or protons. An atom is composed of bosons if it has an even number of electrons. An atom is composed of fermions if it has an odd number of electrons, neutrons and protons. An example of a boson would be a gluon. An example of a fermion would be potassium-40, which is what Deborah Jin used as the gas cloud. Bosons are can form clumps and are attracted to each other, whereas fermions do not form clumps. Fermions are usually found in straight strings because they repel each other. This is so, because fermions obey the Pauli exclusion principle, which states that they cannot gather together in the same quantum state. Like the Bose–Einstein condensates, fermi condensates will coalesce (grow together into one entity) with the particles that make them up. Bose–Einstein condensates and fermi condensates are also both man-made states of matter. The particles that make these states of matter have to be artificially super-cooled, to have the properties that they do. However, fermi condensates have reached even lower temperatures than Bose–Einstein condensates. Also, both states of matter have no viscosity, which means that they can flow without stopping. Creating a fermi condensate is very difficult. Fermions obey the exclusion principle, and they are not attracted to each other. They repel each other. Jin and her research team found a way to merge them together. They adjusted and applied a magnetic field on the anti-social fermions, so they began losing their properties. The fermions still kept some of their character, but behaved a bit like bosons. Using this, they were able to make separate pairs of fermions merge with each other over and over again. Mrs. Jin suspects that this pairing process is the same in Helium-3, also a superfluid. Based on this information, they can hypothesize (make an educated guess) that fermionic condensates will flow without any viscosity as well. Another related phenomenon is superconductivity. In superconductivity, paired electrons can flow with 0 viscosity. There is quite some interest in superconductivity, as it may be a cheaper and cleaner source of electricity. It could also be used to power levitating trains and hover-cars. Superconductivity. This is the Meissner Effect. But this can only happen if scientists can create or discover materials that are superconductors at room temperature. In fact, a Nobel Prize will be awarded to one who succeeds in making a room temperature superconductor. Right now, the problem is that scientists have to work with superconductors at around -135 °C. This involves the use of liquid nitrogen and other methods to make extremely cold temperatures. This is of course a tedious job, which is why scientists prefer to use superconductors at room temperature. Mrs. Jin's team thinks that replacing the paired electrons with the paired fermions would result in a room-temperature superconductor.